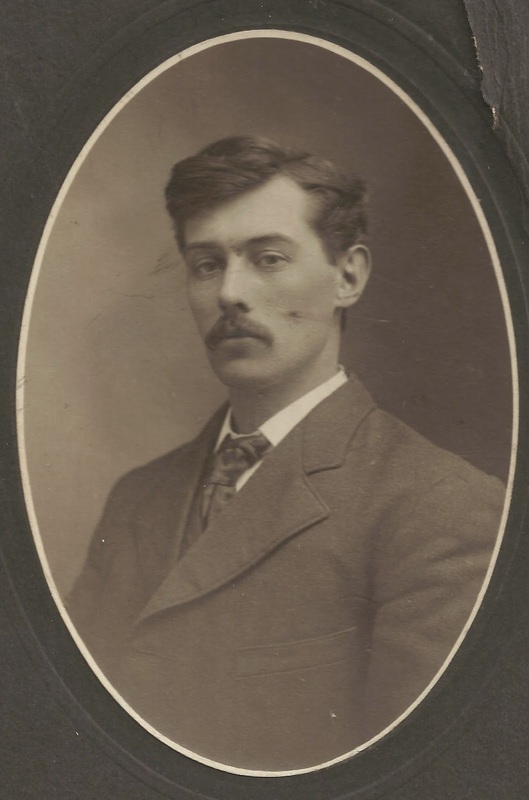 Herbert "Lorne" was born at Cannamore, Ontario on May 5, 1883 to Archibald Carruthers and Elizabeth (Lizzie) Gordon. 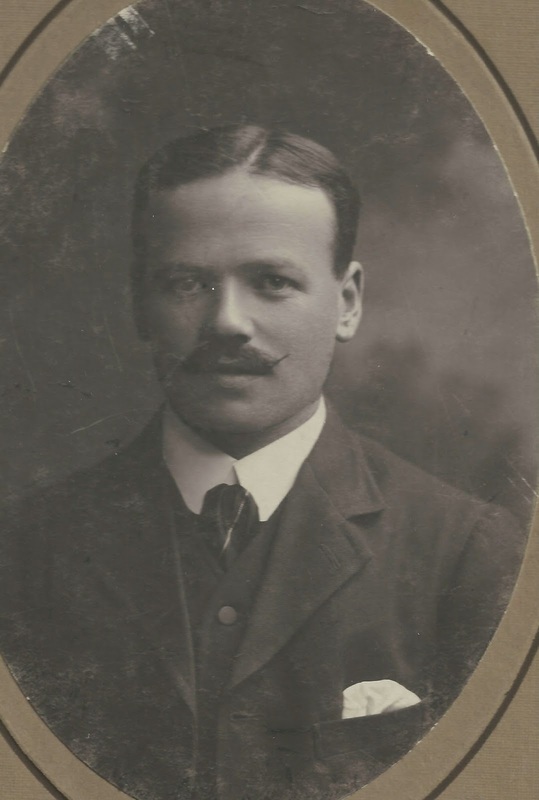 He was the grandson of our shared ancestors, Andrew William Carruthers and Jean Steven. His mother died when he was 10 and his father remarried to Annie Gainer on January 1, 1895. In the 1901 Canadian census, he is 17 years old and he can be found living with his father and stepmother near Finch in Southern Ontario. Also in the household is his older brother Hector (19) and younger siblings George (15), Walter (13), twins John and Hattie (6), Maggie (3) and Annis (1). 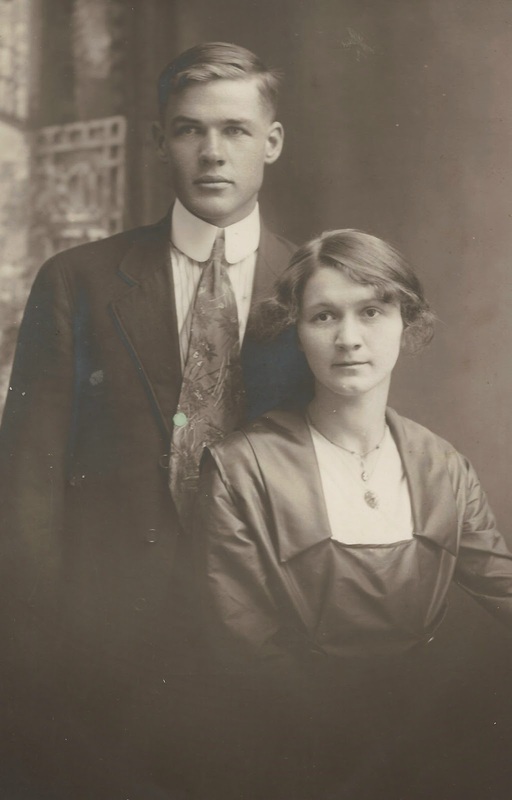 Another set of twins, Frank and Ida were born in December of 1901 to complete the family of eleven children. 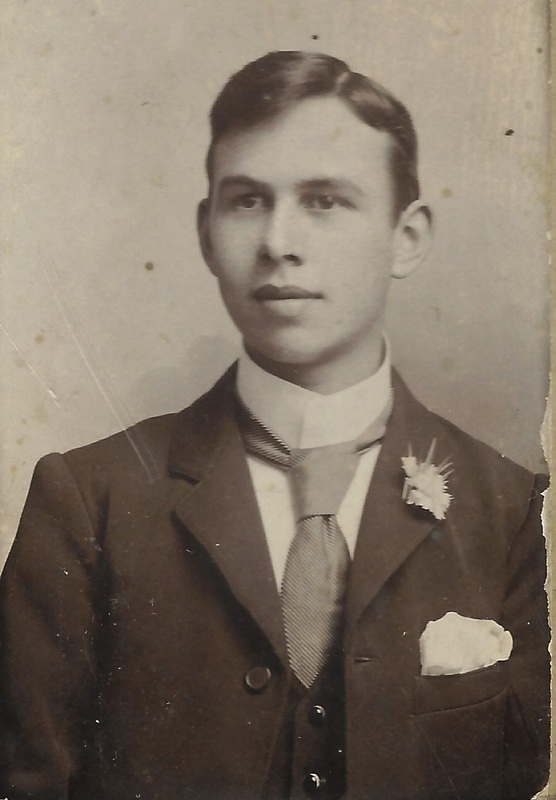 Lizzie and Archibald's youngest son Howard had died in 1890 of consumption. With so many children, it is not surprising that they quickly ran out of room and land at home in Ontario and began to look west. 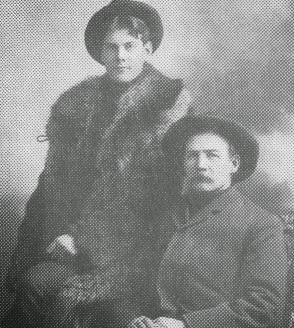 Archibald had a younger brother named William who had left for open land in the west in Manitoba around 1895. (Another brother Andrew (Andy) had headed even farther west, to Alberta, at the same time.) 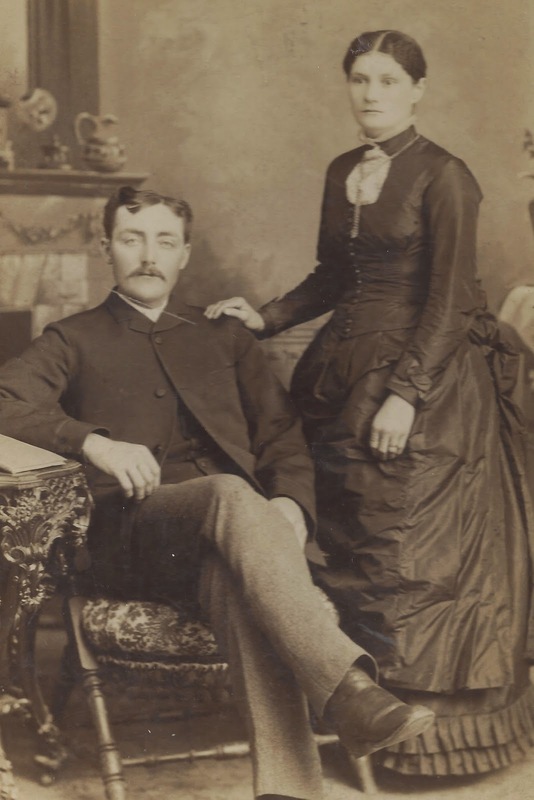 William married Bessie Wyatt in 1894 and they had 4 children. 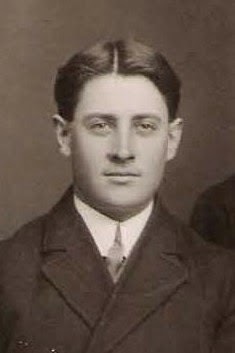 William's sister Christina followed him west as did this week's biography subject, his nephew Lorne . A third brother, Steven, lived and farmed in the Grandview, MB area from 1895 on. My connection, Archibald's sister Margaret died in 1894 of consumption. She was my Grandpa Kinnaird's mother. 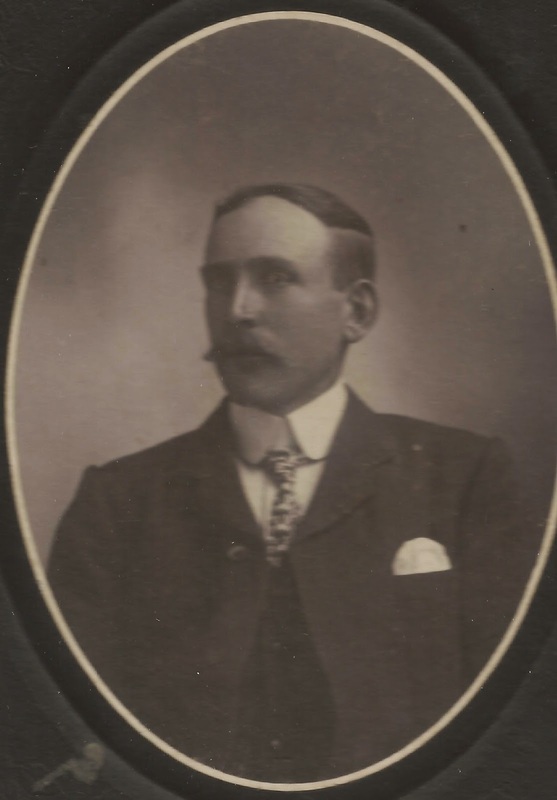 Lorne came west on harvest excursions in 1903 and 1906 and worked for his Uncle William who lived one mile west of Hargrave. He also traveled to Moose Jaw and Swift Current, working wherever he could along the way. He eventually made it to his Uncle Andy Carruther's farm at Camrose, Alberta where he did some draying with a team of horse, washed dishes and whatever else he could to earn a few dollars. Lorne went home to Cannamore again but in the spring of 1907 he brought his horses from the east and a carload of equipment to farm the west quarter of 27-10-27, three and a half miles south of Hargrave. That summer he broke 90 acres, and was a harvest hand for other farmers that fall. 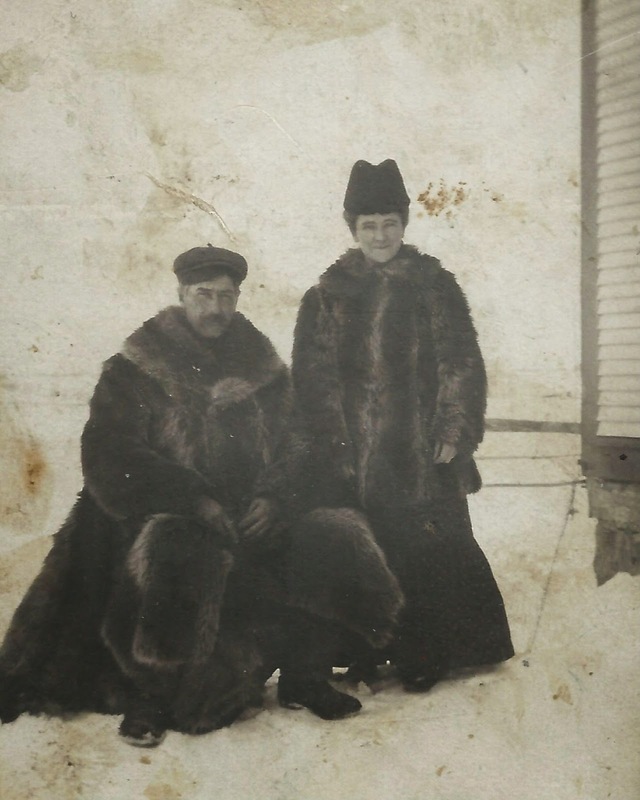 He stayed with and worked for his aunt and uncle John and Christina O'Neil for 3 winters. In the winter of 1909, he built a barn on his farm and the next year he dug a basement for his house. 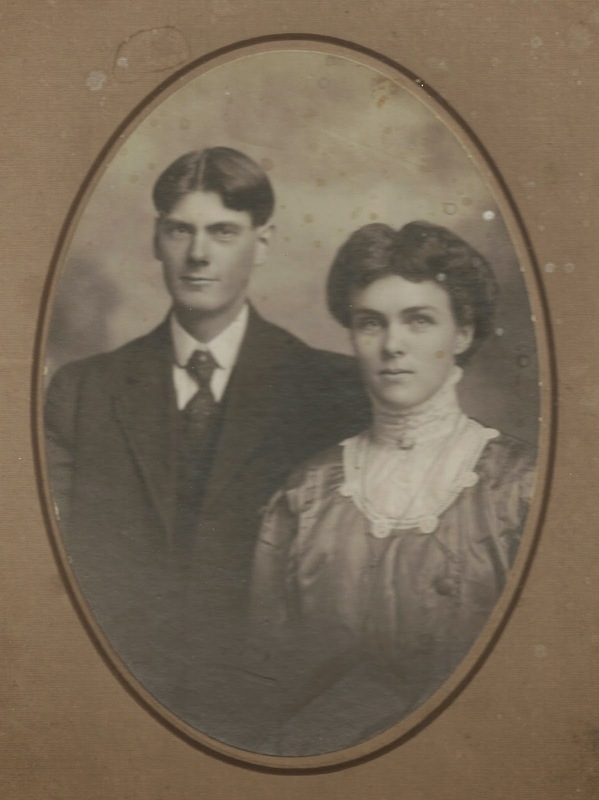 He married Elizabeth "Bessie" Odell on December 28, 1910 on her parents' farm near Hargrave. That winter the couple honeymooned in Ontario. They went on to farm their homestead together for 30 years even after being hailed out two years in a row on the same date, July 17. Both Lorne and Bessie were musical, her the piano and organ and him violin and mouth organ. Lorne was a charter member of the Hargrave Court of the Canadian Order of Foresters that was formed in 1909. Two children were born to them, Cecil (1916-1989) and Inez (1921-2012). They were fortunate enough to celebrate their 50th, 60th and 65th anniversaries with family and friends. Bessie died in August of 1977 and Lorne lived to the age of 102 and passed away in 1985. From what I have read about Bessie, she enjoyed recording the family history as much as I do. Lorne and I are first cousins twice removed according to my family tree software but I had some wonderful pictures and great stories in history books to tell their story. 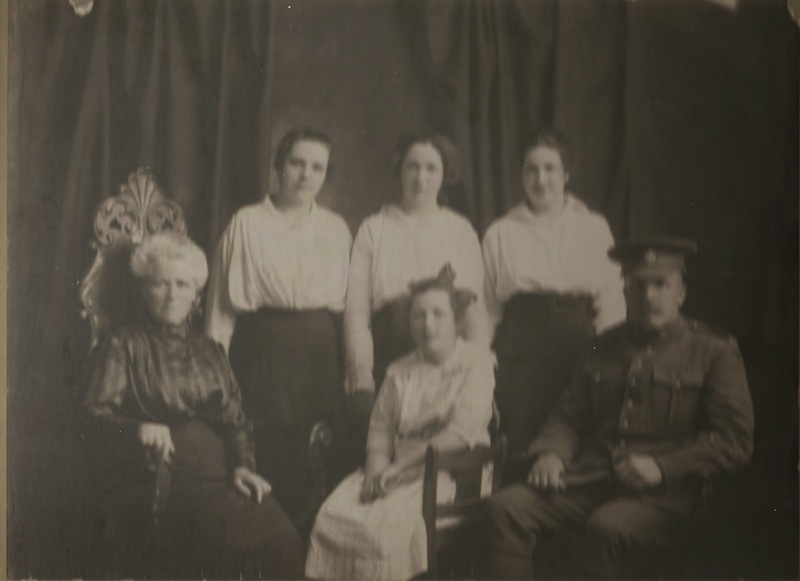 I think that I see some family resemblances in the unidentified photos below. Do you think they may be more of the large Carruthers family?